Biopharma is pleased to announce our collaboration with SMS Labs to provide upgraded facilities for our training course delegates, future events and local technical support. This course provides an opportunity to explore a wide range of elements in the lyophilization process. 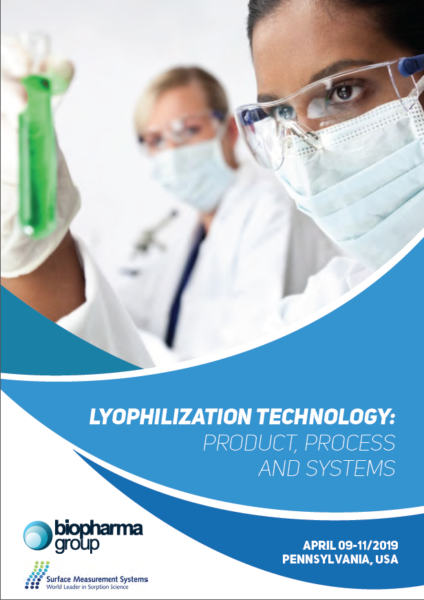 From characterization of products to cycle development and scale up, we cover the science and engineering of lyophilization. In addition, the programme will include SMS innovative instruments, such as their DVS and how it can assist in product analysis. Or visit the training course website.